He keeps shutting down the gov't and keeping the USA citizens hostage over a wall, which while in principle the wall is good, in practice it's not so much, since the illegals can get around it like through boats or rafts or airplanes. What are we to do about these illegals? Is having a border wall bad? Do walls work? Do they have good purposes? Great commentary by Tucker Carlson on this - he calls out the Hypocrisy! Now, should the government have to cease to function as a tool of political argument - I wish not - there needs to be a different approach - certainly wherever it hurts us. As for Trump - I hope Pence would take his place - which he might if Trump becomes too toxic. Of if it becomes clear he cannot win against the Democratic opponent of 2020. We'll see. I have a friend who buys real estate that he rents to make money. He got a really good deal on a big, open on the inside, barn. He put up a bunch of walls inside the barn, which made multiple bedrooms. He rented it out to boarders, and made a lot of money. So, building boarder walls, DOES work. *This story is for you, edwardmurphy. Honestly, I'm not sure why some of the Dems are making moral arguments when there are so many good practical arguments. 1) Trump is asking for a huge pile of money - and $5.7 billion isn't close to enough to complete the wall - but has yet to show that he actually has a plan. It'll be tall, and beautiful, made of concrete, chain link, or maybe steel, paid for by Mexico, or maybe US tax dollars, or perhaps magic, and we should just go ahead and trust him because anyone that doesn't is in favor of open borders. Seriously, why would anybody ever give this con man a nickel? What about environmental impact studies? What about a cost-benefit analysis? What about fiscal responsibility...? 2) The wall would mostly go through vast, inhospitable, empty desert. Consequently, it would be necessary to monitor it with drones, cameras, and patrols in order to keep people from simply going busting through it at some isolated location. Without 24/7 monitoring a wall will be quickly circumvented. It would be doomed to fail. But if we're going to invest in 24/7 monitoring anyway then why do we even need a wall? Why not just beef up security in populated areas and patrols and monitoring in unpopulated areas and call it good? 3) The Dems favor border security, too, just not something as idiotic and impractical as a giant wall along the entire length of the border. Seems like it would be pretty simple to make that argument to Congressional Republicans, forcing them to either make a deal or look like morons. 4) Most of the smuggling and illegal border crossing happens at those big, busy checkpoints. Why not invest in beefing up security there? 5) Immigration from Mexico is down. Why is this suddenly a crisis? Is there maybe something else going on that Trump would rather we didn't look at? 6) All those migrants from the "caravans" actually come north intending to turn themselves in at designated ports of entry and request asylum. I grasp that some people have a problem with that, but a wall isn't going to stop people from coming to the gate and knocking. That's just off the top of my head. I'm sure there are lots more. Alas, Dems being Dems, rather than pounding on all of the reasons that the wall is a stupid, pointless, unworkable boondoggle that will end up costing us 100 billion dollars they get all crusady and start moralizing. Oh well. I agree, more or less. The Dems are killing Trump on the shutdown. They can keep trying to open the government back up, knowing that the GOP will say no, and hammering on Trump for having a tantrum. Prior to the shutdown the Senate voted 100 to 0 to fund the government until February so that there'd be time to negotiate. The Dems just put that same bill through the House and the Senate GOP rejected it. That's really not a good look for them. People are hurting and the GOP is on the record refusing to do anything about it. For the sake of discussion, let's throw away President Trump's $200 plus billion per year, cost of illegal immigrants for the US. Let's take a more centrist estimate, and then tell me if the cost of a border wall/fence, is worth it. The problem I have isn't with people who don't want a wall but who also see border security as a great importance (like Ed apparently does) - it's with those who don't see ANY problem that needing solving. Just look at the border crime statistics and the fact there is an enormous problem is obvious! Also, I don't like the constant demonization of those who want the wall. Now, the wall might NOT be the best part of the solution - or it might work great as a part of the greater solution. But for those demonizing people who think a wall is a good idea - WHY? Do most of those wanting it not merely desire security and protection of our country? To assert those wanting it are ALL racists and xenophobic - that's just a huge political lie. So, what should be just a difference in viewpoints over the approach to security is being hijacked and distorted into accusations of racism or that wall supporters supposedly don't care about the honest poor who are only trying to escape crime and poverty by coming here. Or despising and hating those who happen to think the wall would be a positive thing. I don't really care about those who simply think, "Let anyone come in whenever they want" - that also believe having NO border would be a good thing, or that want to give benefits and voting rights to all illegals - essentially making WHOEVER desires asylum to have all legal rights. People don't leave their homes doors unlocked and open, so that anyone who wants to could come in whenever, or to enter their property whenever desired! And so many politicians desiring open borders / legal status for all - they themselves live in gated communities, exclusive clubs, etc. See the hypocrisy? I suppose. My main concern is that, since $5.7 billion isn't nearly enough to build the wall, Trump will come away feeling emboldened to do this all over again. Appeasing a tantruming child tends to be a bad idea. FAIR is hard right, not centrist. That doesn't mean that their data are all wrong, but since they have a clear anti-immigration agenda I'm not inclined to take everything they say at face value. I'll look at their claims when I have a bit more time. Which politicians, Phil? I haven't come across a mainstream politician yet that favors open borders. That's a GOP scare line. Lock up your chickens and your daughters, y'all, the Dems wanna open the borders! Nonsense. Hell, Phil, one of the current GOP talking points is that the Democrats are hypocrites because Clinton and Obama favored "physical barriers" with Mexico, but when Trump tries it they're suddenly opposed. How exactly do we square that one with the claim that the Dems want open borders? As for the racism charge, it kinda seems like a lot of the people who strongly favor building a 30 foot wall from the Gulf of Mexico to the Pacific Ocean really are motivated by racial animus. Not all of them to be sure - some are merely terrified and paranoid - but racial animus isn't exactly uncommon. And the notion that Mexico will pay for it? Phil, Trump has stopped juuuust short of calling Mexico a filthy, rundown hut that's infesting our pristine mansion with cockroaches and therefore needs to be punished. A lot of his most loyal supporters read him loud and clear and strongly approve. The thing is, the Wall is objectively a crazy, irresponsible idea and expecting Mexico to pay for it is downright certifiable. Still there are many who want to charge forward heedlessly, even without a comprehensive plan to actually get it built, nevermind paid for. There are many better, cheaper ways to secure the border. There are less offensive ways to describe them. There's no reason to be nasty about any of this. Trump made the choice to appeal to people's emotions rather than to logic, and the emotions he opted to appeal to were fear, anger, and resentment. The more liberal pundits are, admittedly, inclined to overstate the degree to which racism motivates Trump's base, but it's undeniable that there's a strong racist undercurrent to Trumpism. But evidently that's the number that Trump thinks he needs to declare victory and appease his base. And I personally think it is worth 5.7 billion to take care of the Dreamers. Trump will come away feeling emboldened to do this all over again. Appeasing a tantruming child tends to be a bad idea. If Trump thought he was playing a winning hand with the shutdown, I think he would keep the shutdown going for the next two years and use it as an ongoing campaign theme. However, Trump is getting clobbered in the polls, and the overwhelming majority of Americans blame Trump for the shutdown (and he told them to on live TV). So I think Trump is looking for a way to declare victory and get out from under all this. I could be wrong, but I don't think he'll try this stunt again as long as the Dems control the House. Ed: Which politicians, Phil? I haven't come across a mainstream politician yet that favors open borders. Yet, when certain politicians only yell, "no money for any wall ever" - yet without proposing serious and workable alternatives - well, what are we supposed to think they believe and support? Because what is happening now obviously isn't working. Those disparaging our border agents? Declaring sanctuary cities, etc? 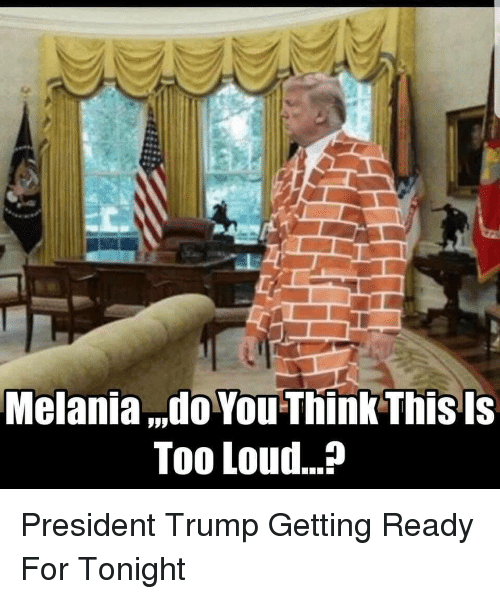 They certainly have made no case that a wall wouldn't solve a whole lot of the security issue - but even a wall would only be one piece of the puzzle. Forget Trump - many of those same Democrats that supported physical barriers are now using the desire for them as a symbol to rage against Trump and Republicans - that is clearly hypocrisy! What about when THEY supported it? Were they all racists and evil as well? Ed: As for the racism charge, it kinda seems like a lot of the people who strongly favor building a 30 foot wall from the Gulf of Mexico to the Pacific Ocean really are motivated by racial animus. That's an irrelevant rabbit trail! What matters is not the motivation of a much smaller percentage of idiots - instead, it's whether or not a wall would greatly help our border situation and keep us safer. And it doesn't have to be contiguous, btw. Many people I've talked to and read of that desire the wall seem to me quite reasonable in their assessment of why they think it's needed, and they are keenly aware and upset over the human crisis and factors that drive it. Ed: Trump has stopped juuuust short of calling Mexico a filthy, rundown hut that's infesting our pristine mansion with cockroaches and therefore needs to be punished. A lot of his most loyal supporters read him loud and clear and strongly approve. I won't defend Trump's verbiage. But Mexico does have enormous poor, narcotics and massive problems they'd like to get rid of. Not to mention, Mexico has opened up a virtual highway for those from Central America to pour through. Have you taken an honest look at much of Mexico? Again, see what is going on in the border towns with the massive crime and statistics coming from the south - then get back to me. Are many that support stopping this not often racist - sure. But it doesn't change the fact that vast millions support it for reasonable reasons. Myself - I want whatever is the best solution - which is comprehensive and works best. But I sure don't want people and all of the crime and problems they bring just illegally streaming in. Look at northern Mexico - the people there don't want these Central Americans and problems staying in Mexico either - they wouldn't let them in merely just to become Mexicans. Ed: The thing is, the Wall is objectively a crazy, irresponsible idea and expecting Mexico to pay for it is downright certifiable. No - you are morphing two separate issues. Walls are effectively applied on borders and for security the world over - and I ask what is the biggest argument against them - forget the politics of who is for and against them. On merits alone, they appear to be quite effective. They wouldn't be used around the world if they were not. As for who would pay for such a wall - I don't care if we pay for it ourselves - IF it would be effective. The cost would be a tiny portion of our defense budget. Ed: There are many better, cheaper ways to secure the border. You mean other than having the entire border manned by ICE agents? If such far simpler and cheaper options are available - why haven't they been deployed and worked? You've got so many politicians jacked up over the fact that we're actually detaining people who want to come in illegally - and yet we're to believe these same politicians are serious about border security? Ed: The more liberal pundits are, admittedly, inclined to overstate the degree to which racism motivates Trump's base, but it's undeniable that there's a strong racist undercurrent to Trumpism. Ed, as long as you obsess over this border issue as if it's only or mostly a Trump-driven thing - or a Republican vs. Democrat issue - you'll never truly assess what the best options are - as to whether the wall is part of a hybrid of approaches or not. Again, I simply want the best solution. I don't think of it in terms of political parties and their posturing. This issue goes WAY back, but it's gotten much worse in recent years. I"m out - I could care less of the politics or who is posturing over what. I want only to see the best solutions implemented! For those concerned about the cost of an almost 2,000 mile wall from sea to sea, that's not what the president is trying to have. "This is not a concrete structure from sea to sea," he said, addressing some previously expressed concerns about the so-called "wall." "These are steel barriers in high-priority locations."